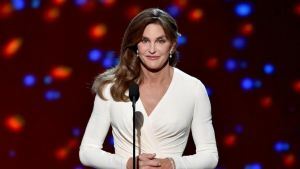 Call Her Out, But Call Her Cait: Caitlyn Jenner and Why I’m Never Here for Transphobia – Okay, Shalom. Why transphobia is not okay at all, but detesting the elitist, superficiality of Caitlyn Jenner is. Call her out, but call her Caitlyn. Brilliant article by thekinkfolkcollective. I detest Caitlyn Jenner. The list of reasons starts with her association with the Kardashians whom I find deplorable. I detest that she believes the hardest part of being a woman is deciding what to wear. I detested the pretentious speech she gave when she accepted the Arthur Ashe Award. I detest how she only passingly mentioned how black trans women are being murdered at alarming rates during her special with Diane Sawyer. I detest Caitlyn Jenner.